For years, credit unions and community banks have looked and acted exactly the same. 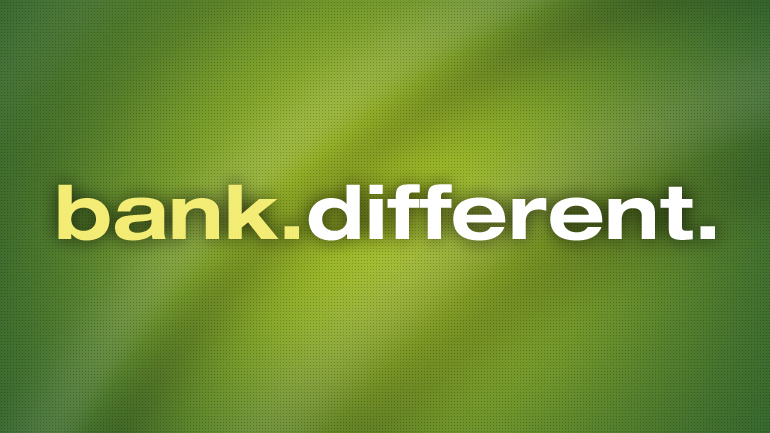 With commoditized products and homogenized brands, virtually no differentiation existed. What if, just once, an institution stood out in a unique way? That's the question we asked Telcom Credit Union, a 70+ year-old banking institution whose SEG base was quickly aging and whose net member gains had all but disappeared. The assignment began with an eight-month research process that involved surveys, focus groups and one-on-one interviews with board members, the executive team, front-line employees and members. Through all of the research, one thing was clear. Growth was critical to the future of the credit union! But how could a financial institution grow during one of the worst economies of the last 50 years? Easy, it could look so unique, so drastically different from anything else out there that customers couldn't help but notice it. Being truly unique in all aspects of its operations was so critical to this strategy that it became one of the credit union's brand pillars. "We Create a Truly Unique Banking Experience"
And although this was simply one part of a very detailed strategy that involved a complete technology overhaul, a game-changing branch development plan and a market-dominating attitude, the idea of being "truly unique" was critical in the creation of growth. To call even further attention to how unique this brand was within the space, we created a brand accent that firmly positioned Vibe within the category but completely out of this world. 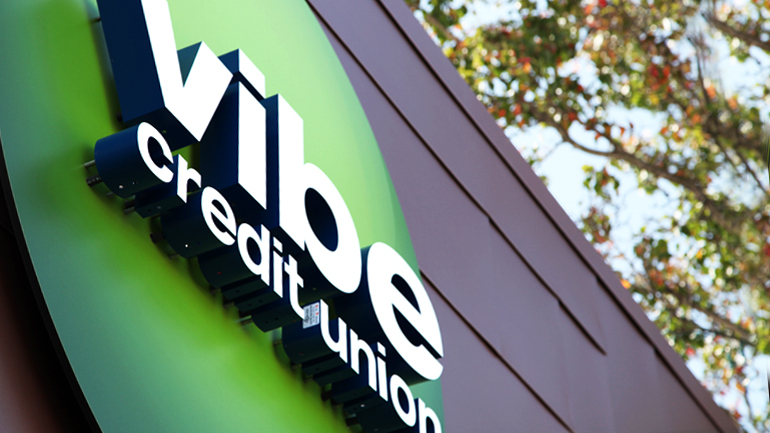 In addition to being unique, the name Vibe represents homage to the telecommunication roots of the credit union. All forms of telecommunication have their basis in vibrations and the concept of vibe-ing with another person represents a connection that only Vibe can achieve with its members. To further underscore the concept of vibrations and to illustrate the way the credit union impacts every area of its member's lives, ripples or vibrations were added to the logo and these permeate every color, surface or background that the logo is placed upon. 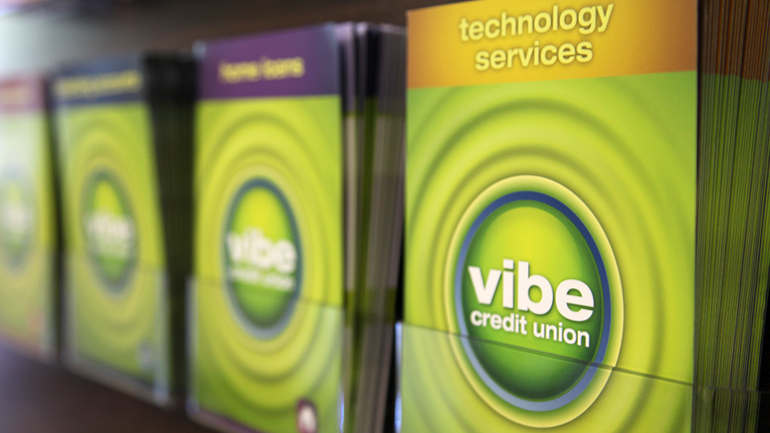 Vibe redefines the concept of branding for community banks and credit unions. Literally everything that was designed for the project, was unique, from the vertical debit cards to creative use of projection systems in their branch locations. Vibe is what it looks like when something unique is introduced into an industry where everything else looks the same. Are you interested in standing out in your market? Contact Edge today and learn more about our unique approach to bank branding.